This collection of Christmas favorites features 25 Christmas songs with kids vocals and the popular sound already recognized through the America's 25 Favorite Praise and Worship Songs For Kids recordings. Features previously recorded material from Kids Sing Christmas and Christmastime for Kids. 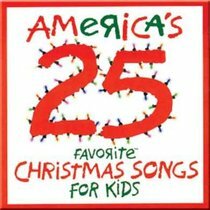 About "America's 25 Favorite Christmas Songs For Kids"